The Laboratory of Urban Diversity is considered as a space where multiple activities are developed, that ensures the continuous occupation of the place, which could be replicated in other areas of the city. The public space will be the container of this diversity of activities and here will be mixed the housing, and equipments of city, sector and neighborhood. It will allow to connect the hill with the existing neighborhoods that are around this one and connect this place to the city so it will be a part of the urban . 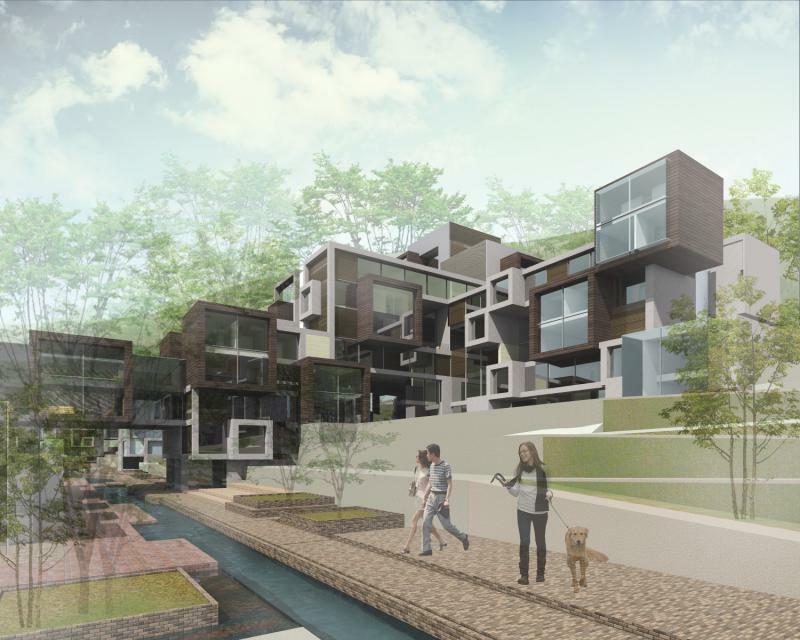 The functional mix that is presented from the city scale, with the model of compact city, is carried to the cell of the same, mixing housing and productivity inside a park as a container of the various activities which allows to change the character Of urban vacuum and keep active the space of the Hill Centennial.